Make sure you park the vehicle on the level surface. Switch off the engine for about 5-minutes if at normal operating temperature. If it's not at the normal operating temperature, switch it off for at least 30-minutes. It's imperative as you are giving the oil some time to come down out of the engine and into a reservoir. · Pull the dipstick out of the guide tube. · Wipe the oil off it. · Slide the oil dipstick into guide tube till stop & take it out again. You've got sufficient oil if it's between MIN mark and MAX mark. If not, it's time to add some more oil. For sure, all of us want to keep our cooling system in proper shape and prevent it from corrosion. Perhaps that's the reason why experts suggest having a 50/50 mix of coolant & distilled water. Just check the coolant level when your car is on a level surface - the engine must cool down first. 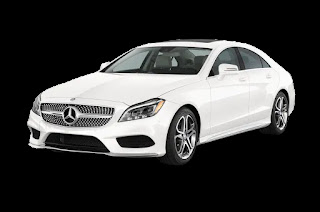 · To check it in Mercedes-Benz, just turn the Smart Key to position 2 in the ignition lock and check the coolant temperature display in the instrument cluster. The coolant temperature should be below 70 C to open the coolant reservoir in case it needs to be added. For that, you will slowly turn cap half a turn counterclockwise - allowing excess pressure to escape - and add coolant. Whether you take your car to the automatic car wash or do it yourself in the weekend, cleaning is imperative in either way. But it's not just the outside that you need to pay attention to the inside of your car is quite likely to be overlooked. Just make sure that you pay equal attention towards the outside as well as inside of your car when it comes to cleaning. No matter how good your car is when it comes to mileage and road performance, you must not avoid the brake fluid level as it has to do with your controls. Also, listen to any unusual sounds that you may hear while applying the brakes. If you are can't fix it, just take your car to the reliable Mercedes service Dubai and get ti fixed by the professionals.